Centrally located on the western shore of Lake St. Clair, approximately 10 miles north of Detroit. Serving Great Lakes sailors for 45 years, we are a dealer for Jeanneau and CNB Yachts, plus we have a large selection of brokerage boats. 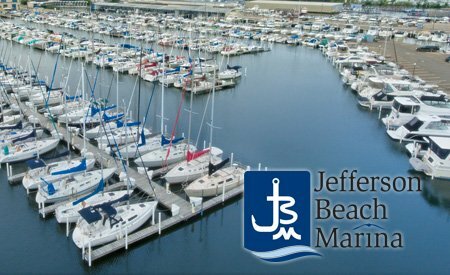 We are located at Detroit’s largest marine facility, Jefferson Beach Marina, featuring 800 deep water slips, restaurant & a full service facility.